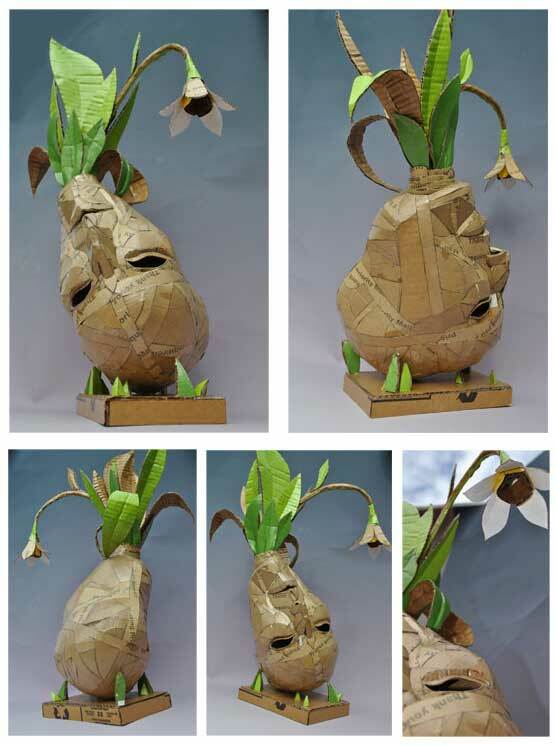 I am pleased to announce that my proposal for this years Cartasia paper and cardboard art festival has been selected. I will be competing with a handful other artists from around the world in this unique biennial art event. This summer I will travel to Lucca, a medieval town in Tuscany where I will have to build a giant cardboard sculpture. This is my most ambitious piece to date. Each year a theme is proposed for Cartasia. This years theme was, "crisis and rebirth". My proposal, "Snowdrop", is based on, galanthus nivalis, (or snowdrop) a perennial bulb that cannot bloom until it has experienced the stress of the winter. More details to come!